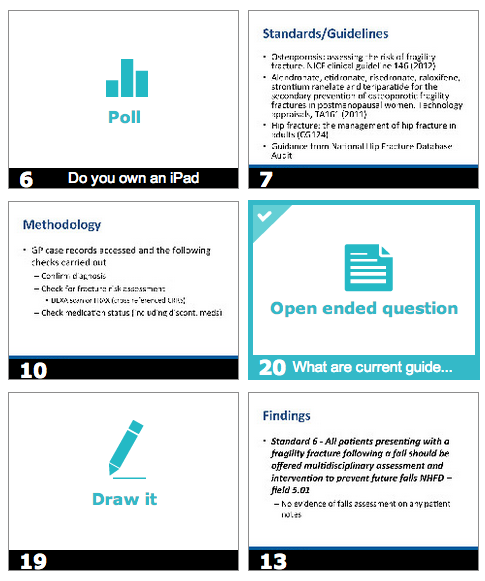 Following on from our introductory article on Nearpod, iMedicalApps is pleased to launch a three part tutorial demonstrating how to utilize Nearpod for medical education. This article will focus on preparing presentations for small group tutorials using Nearpod. 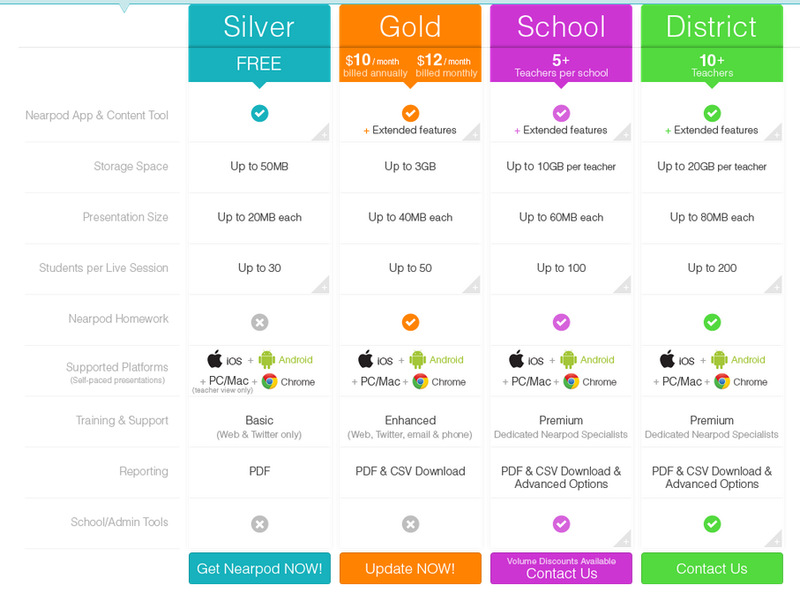 Before we begin, it is clear that to maximize use of Nearpod you need a certain infrastructure. Each of the students must have access to a mobile device/computer. The first step is to sign up for Nearpod. This is free on Nearpod.com and allows each user the ability to start building presentations. To be clear though, the basic option is free. There is a range of paid upgrade options available for those looking to run institutional programs (as per the screenshot below). 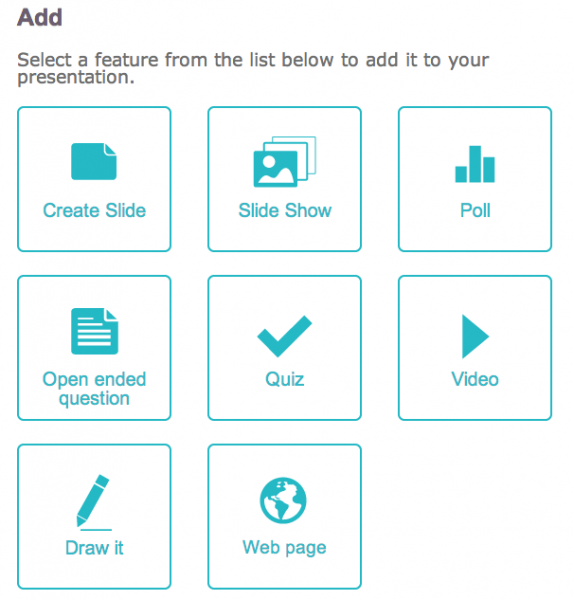 Nearpod offers teachers a number of methods of preparing presentations. 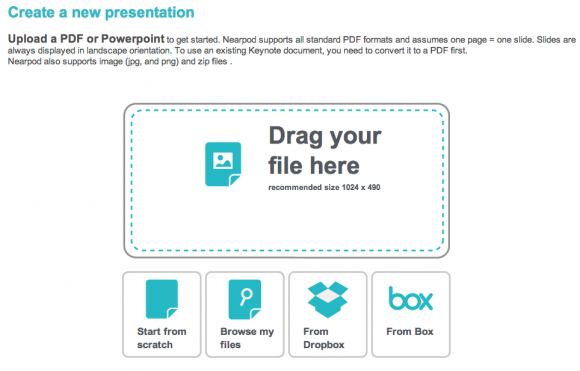 First, users must create a presentation in either Powerpoint or PDF and upload it to Nearpod. At the moment, Nearpod does not support “dynamic features” in PDFs such as videos, audio files, animations or web links. These dynamic features will be inactive in the PDF documents and each slide animation will be converted into a static image. The presentation is then displayed as a number of slides which can be rearranged by simply dragging them around the screen. One of the frustrating limitations is the inability to edit the content of the slides (although it is possible to add additional content on top). Adding further interactive content is as simple as clicking the ‘Add’ tab. This presents the options seen above which can then be added into the presentation. These can be inserted between slides and moved around by simply dragging the slide. The various options for quizzes and polls are useful as is the ability to add a picture on which the students can then draw. This is particularly useful for subjects that heavily rely on visual media such as anatomy, histology, or radiology. Students have the option to add free text to the image which is then returned to the teacher who can review the answer (and share it with other students if desired). Planning and preparing an effective presentation is probably the most difficult aspect of using Nearpod. Teachers should have a clear idea going in of how they plan to integrate the interactive technology and not just use it for its own sake. Once a presentation is saved, then teachers can preview it, share it, or clone it. The preview function is helpful for practicing the presentation as well as ensuring that all of the questions and interactive content has been displayed appropriately. When the teacher has finished preparing a presentation, they must ‘Publish It’. This ensures that the presentation is ready to be distributed to students. To actually launch the presentation, the teacher must go to the ‘Engage’ tab. In this view, teachers can see any presentations they have published. In order to start a new session, the teacher simply clicks ‘Live Session’ which then launches the presentation and provides a unique PIN which can be distributed to students to sign in to the particular session. 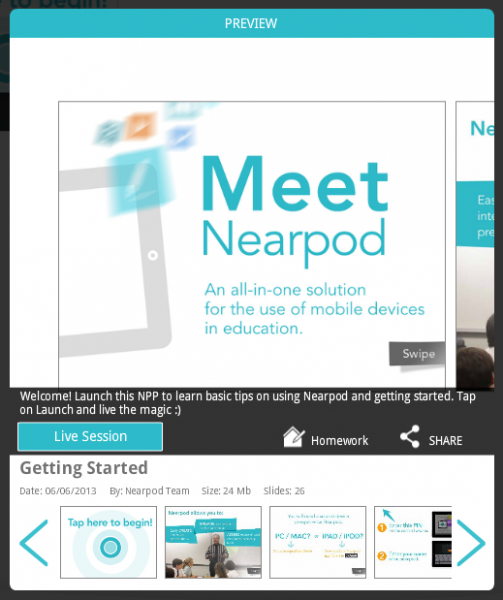 The next article in the series will examine how a Nearpod presentation actually works in a live teaching scenario. 1. You are devoting a lot of ink to a single product. It would be good for you to note that there is no financial relationship between your website and this developer. It goes without saying, but in this world it really does not go without saying. 2. This kind of app requires a video for people to understand the use of this technology. Explaining it in words and a few pictures I don’t think is sufficient. I certainly don’t know what this app offers. 3. How does this technology compared to other offerings in this field? I have pole anywhere from response where, yet I have never successfully used it, it seems pretty difficult, and I don’t know whether I’m going to devote any more energy To trying to make it work. How does this product compared to its competitors? We have a strict conflict of interest policy, if you looked at our about page you would see this. Look at our About page for this — this is a clear link with a document that would show you we don’t have a financial interest with this company. 1) I have no affiliation with Nearpod other than being a massive fan of their work. As Iltifat mentioned, we have a strict COI policy. I have updated the next article in the series with a disclaimer though in case it wasn’t clear. We are dedicating space to Nearpod as it is (in our opinion) one of the most innovative powerful educational tools available for mobile devices. 3) At the moment, Nearpod is pretty much unique. Nothing else out there that we could find combines the ability to control multiple devices, allow interaction and engagement, in the same way Nearpod does. There IS a learning curve to Nearpod however when you spend the time to set it up it is incredibly powerful and informal feedback from teaching sessions I have given where I have used it have been overwhelmingly positive. Let us know if you have any other questions! Please pardon the typos above. Message composed with Siri and one very cold thumb while walking my cranky newborn in the stroller this snowy morning!